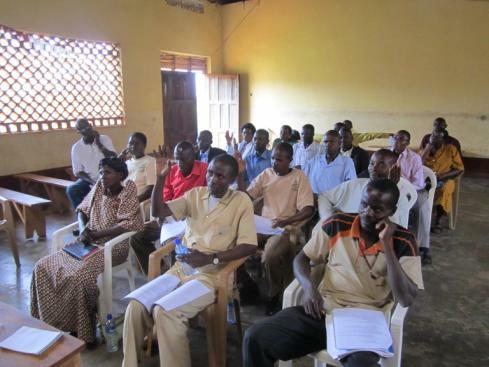 Many people think of unreached people groups as tribes which are hard to reach, but over time and through much discussion we came to realise that children with disabilties here in Uganda especially the deaf are unreached by the bible. With many people still having a negative attitude towards people with disabilities it has closed many doors to people with disabilities to different areas of society. 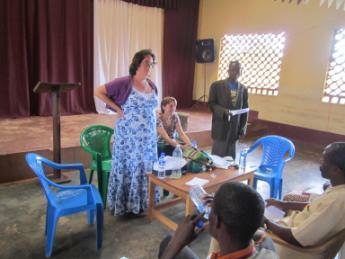 One area being the church, within the church there is lack of knowledge of disabilities and how to work disabilities. Currently I only know of two or three churches which have sign language interpreters, none of these are in the area we work in. WHY CAN'T the church open the doors to people with disabilities and to learning sign language. There is no reason why the church for this not to happen. Our hearts prayer is to see the doors to the church being opened for people with disabilities. 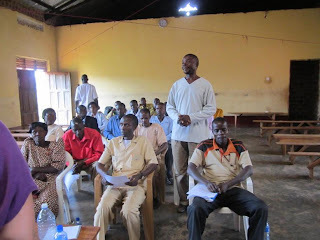 On the 24th of March we started our first pastors training session with around 30 pastors from Kangulumira pastors committee from across the all Pentecostal churches in Kangulumira Sub County. From Baptist to small unaffiliated churches. God’s View on Humans - God uses us despite weaknesses where we discussed how God used Moses, David, Peter, Paul despite their difficulties and weaknesses. 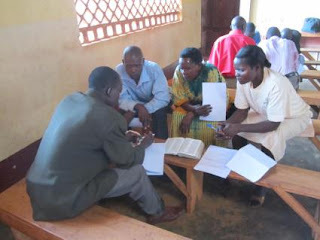 Jesus’s interactions with those who have disabilities- this included the pastors breaking up into groups and discussing the following bible verses. It was exciting to see the pastors from each church interact with each other and discuss the bible verse and discuss what they could learn from each verse. 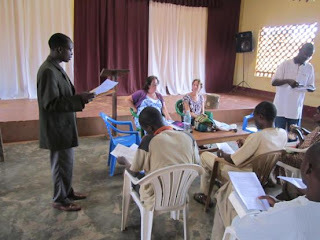 It was exciting to see what the pastors had learnt after their times in the groups. Teresha giving her personal testiomoney of having dyslexia and dysperixa and struggling with self acceptance. How God overcame through her weakness, that if wasnt for what she went through as a child she would never of had the desire to start SOH. How can we be the Church to those with Disabilities? It was interesting to hear feedback from certain pastors, one pastor shared about a child with a learning disability and how the child went to another but the child kept wanting to go back to her church as she was being stigmatised and was been treated badly by the other church. The pastor has decided to invite the pastor from the other church to our next training. There scripture which speaks about a seed falling on futile ground and sometimes the seed doesn’t fall on futile ground. Our prayer was that the pastors who attended would be like fertile ground and would be ready to receive and to impact the community and open the doors of the church for people with disabilities. The pastors shared how this was what had been waiting for and that the church needed to see how they could include children with disabilities. There still had a question why and how they could do this. This led onto the pastors sharing about the different ways we could help them and train them in how to include children with disabilities.